Water Resistant. Flame Retardant. Ultra Flexible. Abrasion Resistant. PRIME WIRE cables are cables from the leading manufacturer of indoor and outdoor extension cords. 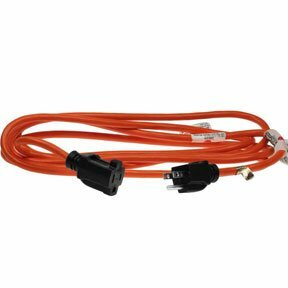 In this category, we have 16/3 outdoor extension cords in various lengths, 16/3 cold weather extension cord w/ primelight indicator light, and other products to match up with your requirements. We directly source products from ISO 9001-2000 registered manufacturer to cut the middlemen costs and offer the products to you at minimal costs. We also provide lifetime technical support on our products.